It was in January that my fiancé and I decided to save for a service trip to Honduras! Although my Dutch passport had expiration issues, we still made it work for travel at the end of April. 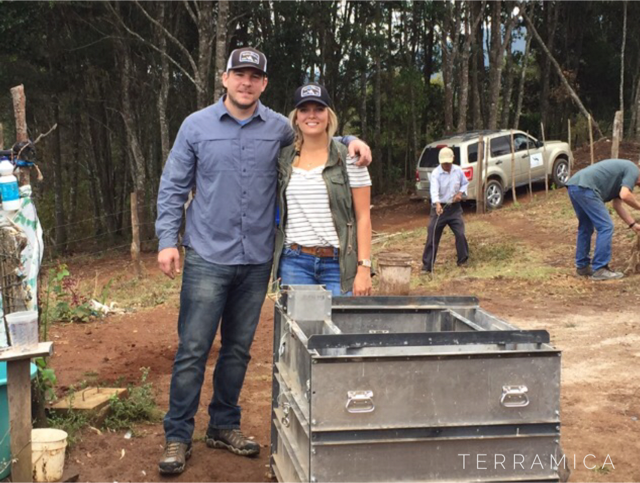 I was very excited as we were going to help build water reservoirs for impoverished coffee farmers in rural Honduras. As our departure date came closer, I began to feel concerned as I read and researched what to expect in Honduras. Two of the main cities have been rated amongst the most dangerous and violent cities in the world, so my worries were not unjustified. That being said, I have traveled quite a bit in my 26 years and I have never hesitated about visiting a new country – so these worries were a first for me! The day we were leaving came fast, and both my fiancé and I were eager to get to Honduras, as this was also our first airplane ride and trip outside the country together. We had our checklist of what to bring and to wear – so we felt ready and in great hands as TerraMica operates there 52 weeks a year with full time staff on the ground. The descent into Tegucigalpa is very exciting and fun because the airport is in a valley, and the airplane must make a 90 degree turn, mere feet before touching down on the one and only landing strip – quite the experience! Upon arriving, TerraMica’s country manager, Jorge Sosa, picked us up from the airport and we headed on our way through the crowded, maze-like streets of Tegucigalpa, where driving lanes are more of guidelines than hard fast rules to obey, and a hesitant driver would not survive there. Our first stop was a Christian school where we were delivering computer parts to enhance their outdated computers – providing an entire lab worth of equipment that we brought with us on the flight over. We finished visiting the school and headed on our way to the coffee mecca city of Marcala, which was a long 4-hour drive. This is where my worries came in, as we were spending our first night in this country that I had envisioned to be unsafe and dangerous. After a safe night sleep and some more driving to the countryside of Guajiquiro, we reached the coffee farmers we were helping. All in all, this trip was a real eye opener and put to rest a lot of my worries. 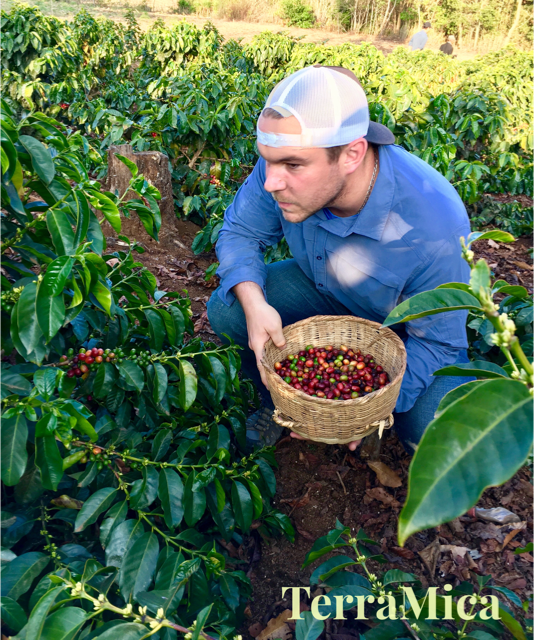 Honduras is an amazing country filled with hard working individuals that have a great sense of community. Although my fiancé and I were excited about going on this trip, I certainly had a number of reservations about traveling to a country that was reported to be dangerous. Stepping out of my comfort zone and making this trip was well worth it! During our time there, I had an incredible experience in learning to appreciate the beauty of the landscape, the warmth of the people, and the joy of serving this community. One thing I kept thinking about while in Honduras was how little they had and how happy they looked – which is a thought I brought home with me. Enjoy the little things in life, love and support your family and friends, and have a great sense in the community around you.